Conflicts across the world right now are more serious than they have been in the last few decades – or are they? 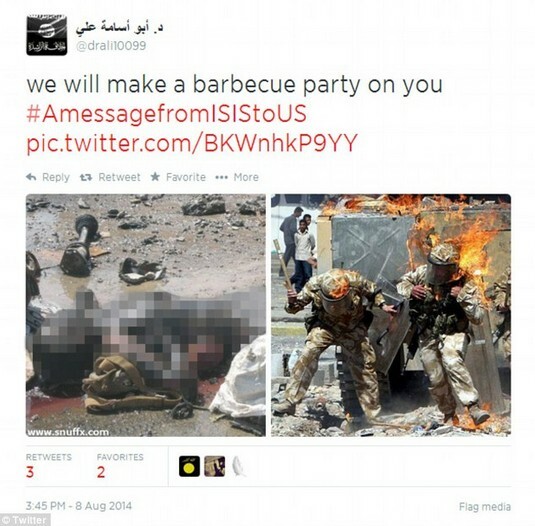 Extremist groups like ISIS/ISIL and Hamas are turning to social media to target the masses. Through their messages they are able to show off both their brutal methods and their talented social media skills. This is evident in the recent video releases of the cold, calculated murders of American journalists James Foley and Steven Sotloff. “ISIS has moved to a policy of direct and aggressive engagement via social media,” said Emerson Brooking, a research associate at the Council on Foreign Relations. ISIS instigate hashtag conversations on Twitter to promote their cause and encourage others to join them in their efforts. Hashtags include #ReturnOfTheJihadi and #AMessageFromISIStoUS. Profiles and posts related to the group are normally removed from Twitter after a short time because anti-ISIS Twitter users report the posts, forcing Twitter to consider removing them for violating site guidelines. However, the extremist group have found several ways to get around this shortfall. Not only do they have a skilled social media team, but they also have web and mobile designers and coders working for them. They have developed an extremely intelligent app named Dawn that can access and modify/delete all users’ USB storage data. This app runs as soon as a user starts-up a device and utilises their network and Wifi, allowing ISIS to find out more about the user and who they are connected to online. The app also shares ISIS-related information, videos, and threats via users’ social media platforms, making it easier for the group to target a western audience. The English speaking social media gurus working for ISIS have taught the group “how to engage a U.S. audience and get at them,” according to Clint Watts, a senior fellow at the Foreign Policy Research Institute. The result of this is that ISIS no longer depend on intermediaries to broadcast their barbarism. The extremist group used to rely on blogs and online forums to post their content, but these could be easily removed from organic search engines. Now they can depend fully on social media platforms like Twitter and YouTube and can easily build their following through masses of user-generated content. The challenge for organic search engines and social media platforms is how to handle the new social media strategy coming from ISIS. The web has always been represented as a place where you could learn the truth about what was going on around the world, but how many graphic truths can the western world handle from the Middle East? Every new story of the group’s fighters playing with decapitated heads or burning soldiers and children becomes a challenge to tell the truth without either propagating or censoring its evil.